Word has been received of the passing of WA/DL pilot Captain Gene Timmons. Born in California on December 11, 1944 Clifford Eugene Timmons was 67 years of age at the time of his passing March 15, 2012. 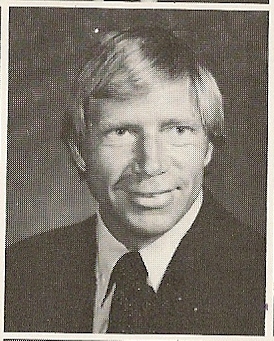 Gene hired on with Western 07-05-1977 and was based SLC. Gene is survived by his wife Barbara. Gene Timmons jumped on the last chairlift searching for eternal skiing on March 15th, 2012. Born on December 11, 1944 in Indio, California to John Junior Timmons and Edna Fern Parker, Gene grew up with a passion for the mountains from a young age. Spending his days at Mt. Waterman and Mammoth Mountain, he taught himself to ski and later became a skiing and ski-racing fanatic. Living and training in Mammoth, California, allowed him to travel around the country to Sun Valley, Utah, Colorado and many other fantastic skiing destinations. He graduated from Weber State University in Ogden, Utah with a Bachelor of Arts in History and as a top member of their Alpine Ski Team. In 1968 he joined the Naval Reserve with a request to move to active duty immediately and in 1970 he received his wings as a Naval Aviator in the single seat attack fighter jet, the A-7E. This is the airplane he would successfully fly 120 combat missions in over North Vietnam off of the USS Coral Sea aircraft carrier. Returning stateside in 1972, he turned his focus back to his true passion of skiing and mountaineering while still maintaining his love for flying. During this time he operated his own private charter business out of Sun Valley and was later hired by Western Air Lines in July of 1977. He continued to fly for Western and Delta Air Lines until his retirement as a Captain on the 757 and 767 in 2004. 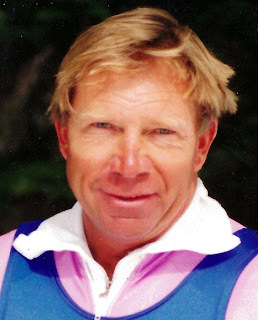 He continued to ski race around the world through the National Airline Ski Federation and the Masters Ski Racing Association, where he was an active member and had many close friends and competitors. In September of 1980, surrounded by family and friends, he married Barbara O'Sullivan in Sacramento, California. Together they moved from Frisco, Colorado, where he was flying with the Colorado National Guard, Western Airlines and running the ski-racing program at Copper Mountain, to Park City, Utah. Here in Park City his daughter Stacey Alexandra was born in 1983 and his son Kristian Marc was born in 1987. His greatest adventure was just beginning. He continued his military flying career with the Air National Guard, as well as his professional flying career with Delta Air Lines, but spending time with his family was his new true passion. With his family by his side, he created a life filled with memories by skiing, cycling and traveling around the world. He climbed and skied the Haute Route spanning from Chamonix, France to Zermatt, Switzerland. He competed and placed several times at the Huntsman World Senior Games, rode the Tour of the California Alps twice with his son Kristian, conquered the Alpe d'Huez, the Sella Ronda, the Grossglockner and 18 other challenging and renowned European mountain passes within 5 different countries. Most recently he spent the winter months in Kirchberg Austria skiing and loving life in the Alps with his wife Barbara. When not cycling and skiing, he spent many relaxing and scenic months with family and friends at his "Home away from Home" and where his heart truly was- “Himmelbauer” in Obervellach Austria. He touched the lives of all who knew him through his integrity, love of life, sense of humor and passionate personality. He truly lived in every moment. He will be so greatly missed. His legacy lives on through his wife of 32 years Barbara, his daughter Stacey and her husband Josh, his son Kristian, sister Cheryl and his Aunt and Uncle Marie and George Cook, as well as his extended O'Sullivan Family. There will be a Memorial Mass Service held at Our Lady of the Snows Catholic Church in Ketchum on Friday, March 23rd at 11am with a reception immediately following. A Celebration of Life will be scheduled for a later date. Thanks to Captain Mark Higgins for this sad information. Captain Gene Timmons, WAL / DAL passed away March 15, 2012.